Tile roofs are designed to last a long time for residential homeowners, but sometimes flashings or seams need maintenance to ensure longevity. 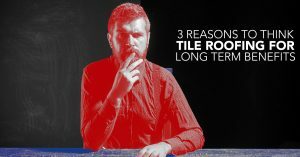 Here are points to remember about maximizing the lifespan of a tile roof and when to replace a leaky roof completely. 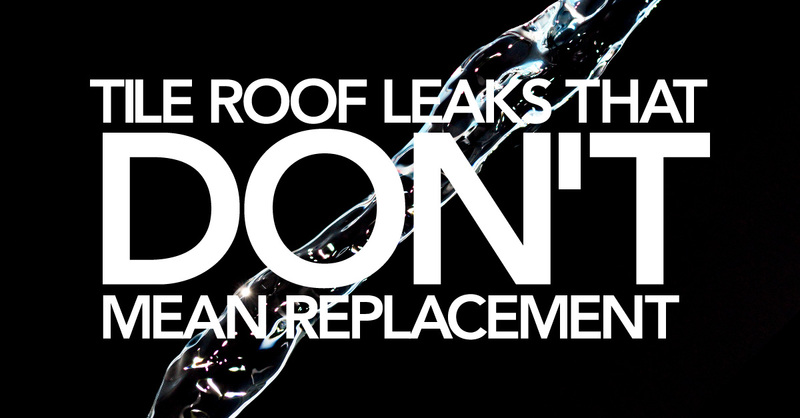 Age: A top cause of any type of roof leak is old age. While concrete and clay tiles can last as long as the roof’s structure, underlayment components may experience deterioration over time. The overall condition of the underlayment is key to whether or not your roof needs to be replaced. A routine annual inspection by a professional roofing specialist will help you determine if you need a new roof or just repair. Flashings: Flashings, which are made of metal and connect with the seams of the roof, keep water from entering your home. The metal may crack or degrade in other ways over time, which can compromise the barrier, allowing water to seep in between the cracks. Flashings, which should always be tightly sealed to be effective, are fairly easy to repair, especially when there’s no evidence yet of leakage. Broken Tile: Another reason why tile roofs become leaky is due to broken tiles that allow water underneath the layers that protect your home. When broken tiles are neglected, water damage can spread across your roof. Tiles can be broken by overhanging branches from trees, which is why tree-trimming can be an important step to protecting your roof in the future. 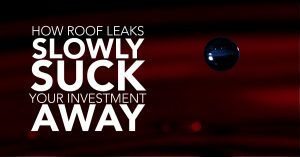 Every roof should be inspected at least once per year just to make sure no damage has begun, as cracks can get worse and lead to expensive water damage if left untreated. One of the signs a specialist will look for is a ceiling with water stains. Make sure the contractor has the proper certifications and insurance to conduct maintenance so that you are not faced with improper work. It’s important that you work with someone who’s professionally-trained on roofing safety. Giving your roof proper attention periodically will make sure it’s not leaking behind your back. Contact Mark Kaufman to learn more about how we can extend the longevity of your tile roof. Find out for sure from certified professionals about what you need to do to maintain long-term roof safety.